The Art of Amy: It's peanutbutter pumpkin time! thanx to my boyfriend for taking these awesome pictures. 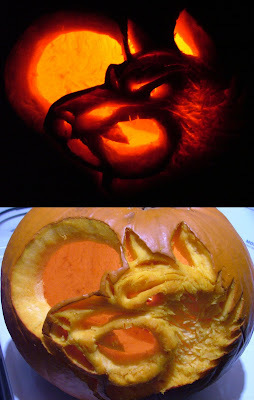 it's a carving of a northrend worg from WOW, it took me about 4ish hours to carve this.